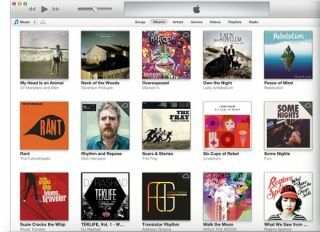 iTunes Store hits 25 billion downloads | What Hi-Fi? Today marks yet another milestone in Apple’s lengthy and record breaking history: the 25 billionth track was downloaded on iTunes. The track was “Monkey Drums” by Chase Buch, and it was downloaded by Phillip Lüpke from Germany. He has been rewarded for his troubles with an iTunes gift card worth 10,000 Euros. iTunes has been active for just under 10 years, having opened in April 2003. Eddy Cue, Apple’s senior VP of Internet Software and Services, said Apple was, "greatful to their users who have made iTunes the number one music retailer in the world". The iTunes store racks up close to 15,000 song downloads every minute, and now has a catalogue of over 26 million songs and 775,000 apps. It's available in 119 countries. The iTunes store sells songs at more than twice the rate of physical media, with around 18 million tracks downloaded every day. While iPod and iPhone sales are showing signs of slowing - the latter only compared to staggeringly fast sales - the iTunes store remains ever popular, albeit a relatively small share of Apple's revenues. The store provides music in the AAC format at 256kbps. Rumours persist of hi-res downloads on iTunes, thought it looks unlikely Apple will see the need any time soon. A streaming 'iRadio' music service could be more likely.